Ledlenser's NEO10R has been designed with runners in mind. 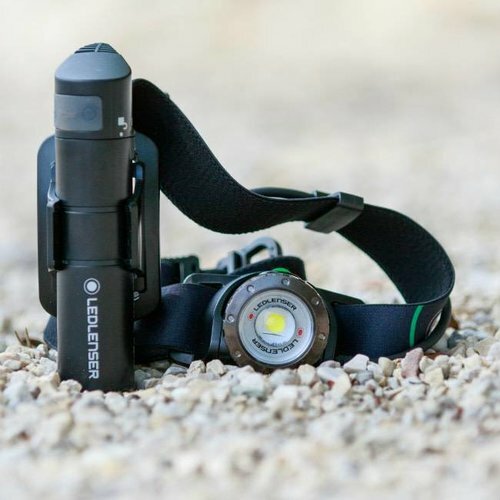 An amazing 600 lumens of light turns night into day and an incredible, rechargeable battery life means it's eco-friendly without compromising on quality. The technology in this Ledlenser torch is phenomenal. Smart Light Technology means that by using a microcontroller you can program your individual range of functions with different touch and switch combinations. That way you always have the optimal light function on hand. Their patented Advanced Focus System (AFS) allows a seamless transition from homogeneous low beam to sharply focused high beam while a single-hand mechanism allows the light beam to be adjusted as fast as lightning. Although not quite as light as the Ledlenser MH10, the NEO10R is still incredibly light for its' class, weighing in at 179g. The battery pack at the back has been rotated in this model to help avoid it slipping when you are moving fast. The light capacity of this torch is simply incredible. 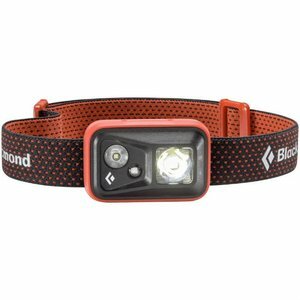 It is equipped with a single switch to the front, a red taillight as well as a chest harness for running in foggy conditions. 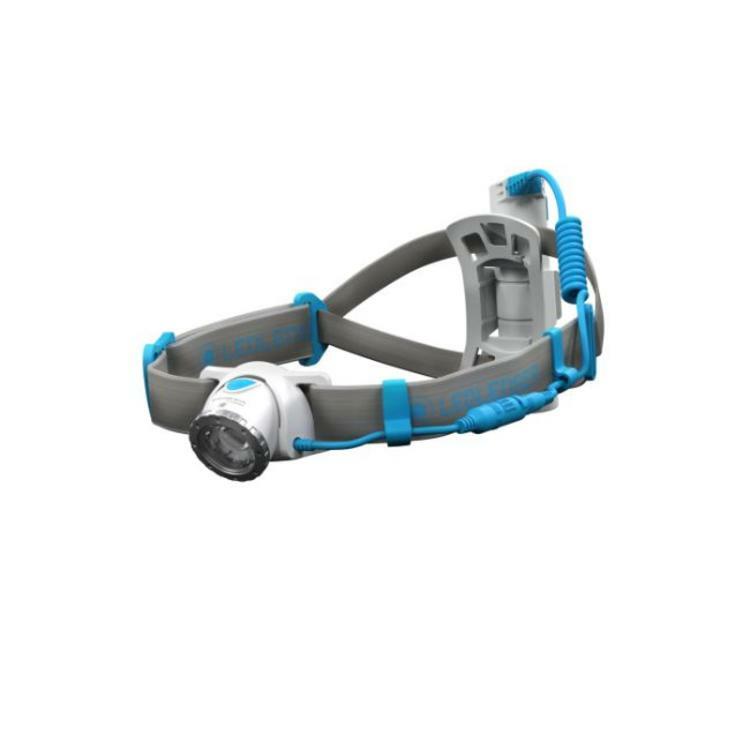 It also has a locking mechanism so that it won't accidentally turn on and drain your battery while sitting in your pack. It's USB 3.0 charging system offers an international standard for comfortably charging your Ledlenser and a charge indicator showing its' current status. Your torch will warn you if it's running low on battery, enabling you to turn down the luminosity and preserve battery life. By using rechargeable batteries, you're not just protecting your wallet, but also the environment. Regular batteries, after all, require up to 500 times more electricity to produce than they can release themselves. IPX4 standard waterproof housing protects it from water splashes in any direction. 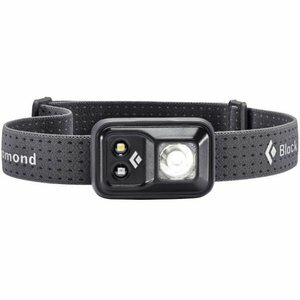 Ideal for hunters, fishers, hikers, runners and everyone who is looking for extremes outside. 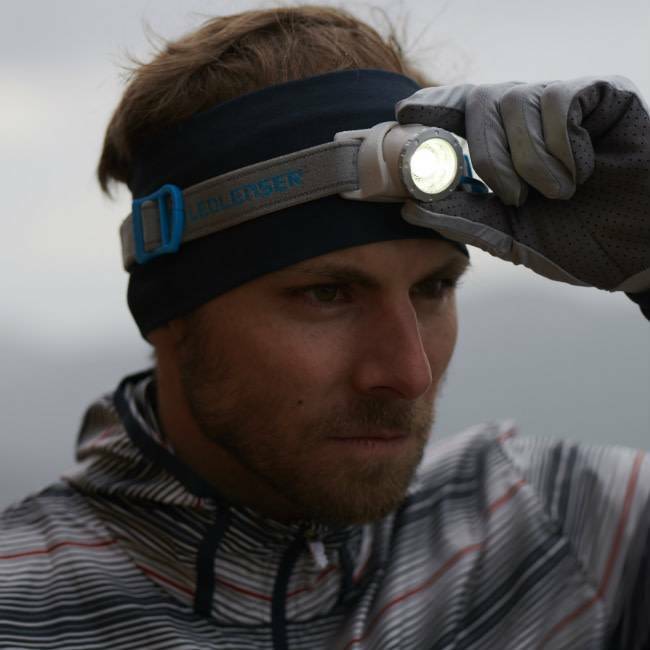 Lightest and brightest, Ledlenser's MH10 has an amazing capacity. 600 lumens of light with an incredible and rechargeable battery life. It turns night into day. Updated with 200 lumens of light and a modern waterproof housing, the Cosmo is sleek, super-bright and ready for any mountain adventure you can throw at it. Black Diamond's legendary full-featured headlamp with a precise and powerful beam, waterproof design and PowerTap Technology, the Spot now features an incredible 300 lumens and improved peripheral lighting for close-range tasks.